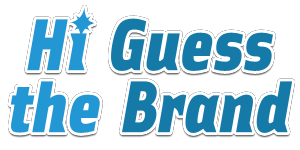 Once you have downloaded Hi Guess The Brand and tapped the Play Button, you will be presented with an enlarged version of a corporate logo or entity. Only a fraction of the logo is visible, but should be just enough to give you the hint or idea, as to the correct answer. Below the logo are a bundle of letters. Your objective is to correctly spell the brand name or company, based on those letters in your rack. Every successful guess will result in advancement to the next level. Unlike other apps within this genre, there are no coins. You are given the opportunity to use one of your hints (ie. remove a letter from your rack or reveal a letter of the answer). The only other option you have to escape is to purchase a “Skip Puzzle” hint or use our site, Hi Guess The Brand Answers.